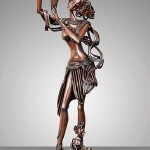 Expressiveness of fragments of sculptures, supplemented by elegant elements show the amazing plasticity of works. 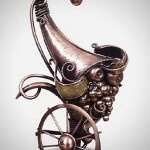 Twisted filigree patterns, tiny “wrinkles” and the smooth curves of thin sheet metal flashing light on polished surfaces of smooth pieces create a sense of lightness and airiness. 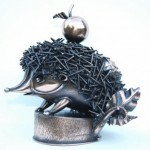 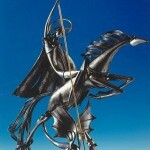 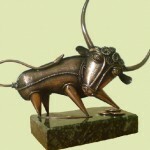 Alisa Didkovskaya-Petrosyuk aims to give the second life to metal in the form of art – traditional sculptures, small sculptures for desks, from mini-masterpieces to interior “maxi”. 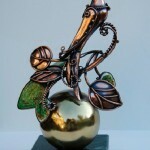 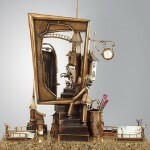 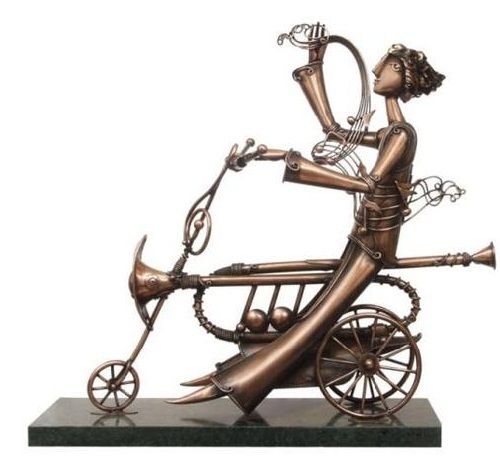 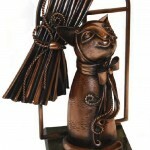 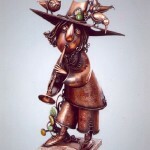 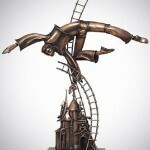 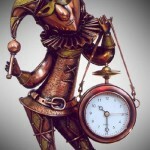 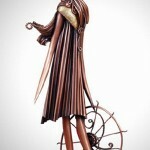 In her sculptures are found elements of steampunk, filigree patterns – all embody the sudden burst of imagination. 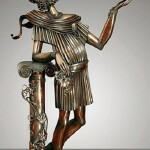 Favorite characters – the heroes of myths, legends, folk tales, stories, saints, gods. 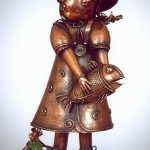 Her favorite materials – copper, brass. 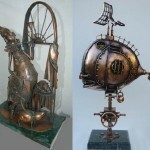 Very different, beautiful work, which can be done by the woman – very clever and gentle. 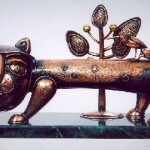 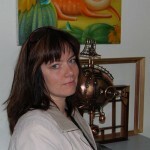 After graduating from the Art School of Applied Arts in 1987, Alisa worked as a jeweler in Zhytomyr Art Fund. 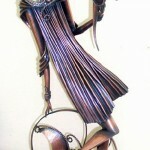 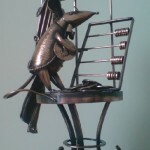 Gradually from the jewelry art she moved to small sculptural forms of sheet metal. 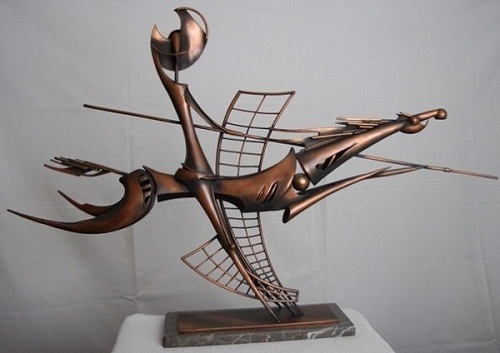 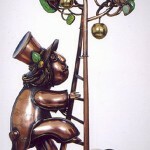 Original sculptures of the young artist took part in the international festival “PRO ART” in Kiev, were on permanent display at various exhibitions and fairs in Ukraine. 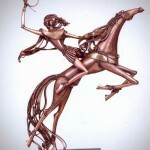 Her sculptures are in private collections in the United States, Germany, Belgium, Poland, Israel, the United Arab Emirates.